What if we say, your precious (and beloved) smartphone might be spying you? Or, let’s consider the same in other words, ‘your private information is not in your hands’. Shocked? When we talk about the modern online world, the first thing that comes to our consideration is the availability of various software and applications. These apps are always there to help us in multiple ways. Unfortunately, despite having uncountable benefits, one should also be aware of the ways your smartphone applications track you. The smartphone we have utilizes different means by which it can check what you are actually doing. It has an eye on every step you take. By using various applications, you, in fact, are allowing it to gather your data. It can be helpful for the hackers to hijack your phone. Additionally, the intelligence and other investigative agencies can also keep a check on all your activities. Calm down! We are here providing you a comprehensive smartphone tracking guide that might help you to understand how your favorite applications can spy on you, and how to prevent them from this act. Why Do You Need this Smartphone Tracking Guide? How to Check If Your Smartphone is Being Monitored? Can an Antivirus Protect You From Hackers? How to Protect Your Smartphone From Spies? What Kind of Data Do They Trace and Sell? We usually remain relaxed after saving any vital file or picture on our smartphones. We think that we have locked our phones by different security password techniques. Hence, our data will remain secure. However, this is not the case. To track a phone and collect all your saved data is the motto of the spying agencies or hackers. You want to read this guide if you are serious about protecting your smartphone from spy agencies and hackers. Are reliant on your cell phone to save your valuable data, such as your bank account details. Have your own and your family pictures (especially for girls). Allow to send your current location on your smartphones or have GPS activation. Have various email accounts, and you access them all via your cell phone. Have made your fingerprint or face as a security password to unlock your phone. Are habitual of downloading applications that might be unnecessary. It is better not to be overconfident or ignorant, then to put your details at the risk of hacking. 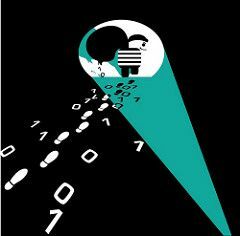 You should be cautious and well aware of the techniques by which any hacker or your smartphone apps track you. There are several different software by which one can access your phones without showing to you. Therefore, you must check if your smartphone is being tracked or monitored. For this, you don’t have to go to a software engineer. You can check it by yourself just by knowing different codes. These codes are simple and short. You can quickly memorize them and check your phone for possible tracking, as you find any suspicious activity. Let’s have a look on these shortcodes, and also the ways by which you can use them. Generally, parents, friends or caretaker of an old person can find this code useful to protect their loved ones from being fooled by hackers or spies. This code shows that your personal information is being shared with any other number. It will also warn you if any application, software, hacker or a spy is diverting your calls and messages. This code displays all of these updates on the top right corner of your smartphone screen. You should also check your phone if you have given it to any stranger for making even a single call. Usually, voice calls are redirected to the smartphone’s operator number. But if you think that your calls, messages or any other data are transferring to a different number, then you need to use this code. Similarly, if you suspect that you cannot connect with your contacts via text messages, calls or even through internet services, then dialing this code on your phone will help you to find the truth. This code helps you in a way different from the two mentioned above. It will detect and turn off any redirection from your smartphone to any suspicious number. You can also use this code before using roaming on your phone. If your operator redirects your call to a voicemail by default, then after using this code, you don’t have to pay for this anymore. It means that this code is indirectly saving your money. Isn’t it great? If your mobile is misplaced or stolen, you can get your phone back. *#06# is the code that will give your phone’s exact International Mobile Equipment Identifier (IMEI). If you know your IMEI number, then you can detect your phone’s location. As soon as your lost mobile gets turned on again, your network operator will automatically get your phone’s location. That is also effective even if a different SIM card is used on your smartphone. Besides location, IMEI can also give the model, make, and other technical specifications of your phone. So make sure this IMEI remains a secret between you and your operator only. There is an exceptional way by which you can track a phone location. But for this, you need to know some codes. These codes are 3001#12345# if you are an iPhone user, and ##4636## and ##197328640## if you have an Android smartphone. After typing the respective code on your smartphone, proceed to UMTS Cell Environment Section. Then go to UMTS RR info. There you will get numbers for local stations near your site, under Cell ID heading. Usually, our smartphones automatically connect to the most reliable signals emitting base station. Now again go to the main menu and click on MM info. Note down the Local Area Code (LAC) numbers. Use both Cell ID and LAC at opencellid.org. Here you can detect the location of the nearest local station to which your smartphone connects on the map. Unfortunately, there are some ‘mobile base stations’ too. Such stations are large antennas, placed on vehicles. 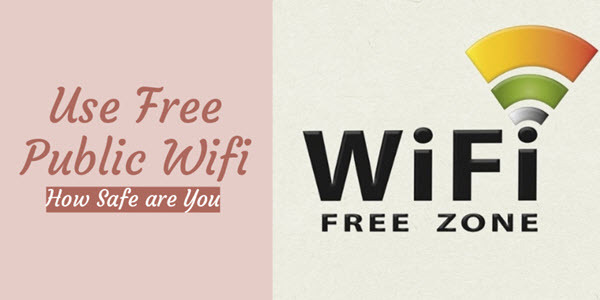 Usually, these are used in the areas having low internet coverage. But if your area has no such issue and you still find a mobile station, then your area is possible under threat of spies. Security agencies are continuously monitoring all your moves. For this case, your cell phone operator is a culprit. These agencies have a legal warrant from the courts by which they can hire your cell phone operator. These operators can provide them all the data of previous three months of its user. The security agencies can tape your phone calls without showing you a single sign of a tapped phone. If you avoid talking about any controversy or any secret on the phone, then such taping will be useless. But the smart secret services agencies have other clever ways too. They place particular bug devices in the target’s home. These devices can secretly monitor your activities. You can only find these devices by radio wave detectors. With so many ways that leak your information, you might now be wondering how to protect the smartphone from hackers then? You must get prepared; agencies and cybercriminals can spy on you, your family, and even your home. Hackers have multiple ways to capture your phone and collect your personal info. One such means is by infecting your phone with ‘virus’. Viruses can not only suppress or abnormally enhance the activities of your phone but can also serve as a means of stealing your data. The most potentially dangerous virus is PlaceRider. This virus was created by American smartphone experts to show the vulnerability of our smartphones. Just like Trojan, PlaceRider takes a series of pictures of the surrounding area of a smartphone immediately after infecting it. It generates a detailed 3D image of the user’s location. Besides these pictures, it can also collect your passwords and all the other personal data from your phone. Ultimately, it connects to the nearby internet connection and sends all this gathered information to the controller of the virus. We can say that this virus is very much beneficial for the hackers. So, as part of smartphone tracking guide, we will also suggest you check your phones, especially if you are an Android user. And yes, even though, installing just an antivirus is not enough to stay secure from hackers – but still, you should install a quality antivirus, it will be helpful to some extent. Our smartphones are a primary target of most spy agencies to gather our information. As soon as your smartphone gets online, it becomes so easy for anyone to access your personal data via different search engines. Here we mention some ways of protecting the smartphone from spy agencies. Avoid using unsecured messaging applications, like WhatsApp and Viber. You can try Telegram, Wickr, Chare, and Signal. These anonymous messaging applications have no access to outside world. You should be careful of sharing your essential data with others such as your family pictures, and phone numbers. Avoid downloading excessively: Make sure to use multiple and complicated security locks to protect your installed applications. Never recharge your smartphones at free charging points. Don’t explicitly allow your cell phone operator to leak your info. Keep yourself away from the sites that claim to provide you locations of other people from your smartphone. Clearing your browser history can only hide your internet activities from your family members or colleagues. The Internet Service Providers can still access all your activities. ISPs do not need to trace your communication. They can know everything about you just by the sites you visit. Maybe you think that ISPs have nothing to do with your records. So, your data will remain hidden from everyone. Also, before February 2015, FTC had the right to punish ISPs for not abiding by the user privacy law. Unfortunately, the situation has now changed. Your Internet Service Providers are now legally allowed to sell your data. According to a new law, ISPs no longer require permission from the user to sell his data to the highest bidder. These bidders are mostly disguised in the form of advertising agencies. By the newly made law, no future privacy rule can hinder the way of ISPs to the advertising agencies. You might wonder how ISPs track a phone. The way is straightforward, which you may have also experienced many times. They merely send advertisements to the user, according to the age group and type of site he or she mostly visits. By this, ISPs can quickly detect the device through which all such surfing was done. Interesting, right? ISPs can unveil what you can ever imagine and expect. Besides the data regarding your web browsing history or the history of app usage, ISPs can also collect your personal information. They can detect your current location. They can also gather the information about your health issues, political views, and other private information. ISPs guess all these simply by monitoring the websites you visit. The type of site you regularly visit can also reveal whether you are at home or not. ISPs can then quickly create your profiles and can sell them to any high-paying bidders or security agencies. You cannot blame ISPs for leaking your information after the implementation of the new law. 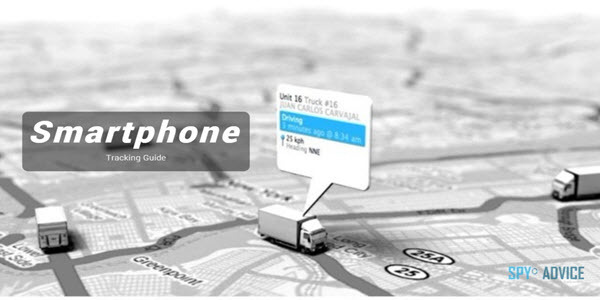 So, in this smartphone tracking guide, we are trying to provide you some protective measures. You can try the following ways to save your browsing history and app usage data from ISPs. ISPs can’t detect encrypted traffic. So, the best option to make your online traffic encrypted is to buy a VPN service. It will then prevent ISPs, spying agencies and even security agencies to track and record your browsing history via your IP address. One should also be careful while choosing the VPN service provider as it has a log of all of your data. 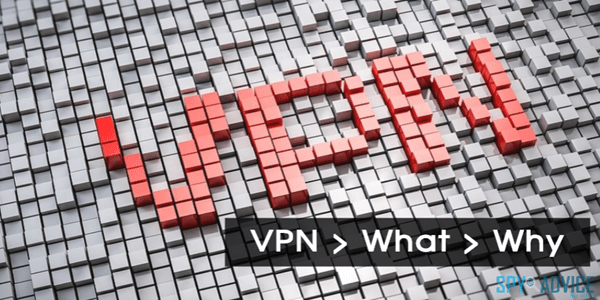 You cannot search whether your trusted VPN Company is keeping its promising of not sharing your data with anyone. But, somehow, VPN Companies are more reliable then ISP. One good secure VPN that we can recommend you here is, IPVanish. Tor is different from VPN in a way that it is a hidden distributed network, not provided by a company. It protects the users by routing their online traffic on multiple internet stations. Tor hides the user’s actual IP address and shows that the user IP is coming from another Tor exit relay. Thus, it offers complete user privacy. Tor is better than VPN if only privacy is the matter (VPN offers good privacy and speed too, Tor provides the best privacy but lowers connection speed significantly). Tor exit operators can see the back and forth direction of user’s online traffic. However, it can’t trace the IP address of your device. Though, it is enough for most of the users but has some weaknesses as well. It is quite complicated for the beginners to use Tor. The users have to use Tor browser bundle because it can only encrypt the traffic which gets generated from the browser. You can get Tor-enabled internet routers from the market, but they are expensive than most of the VPN services. HTTPS is present in the browser’s URL bar. It indicates an encrypted connection of the user with the website. When this option is enabled, your IP can only detect the site you have visited, but not the pages of the site. So, we can say that it can check your online activities to a little extent. To ensure your privacy, we suggest you try HTTPS Everywhere browser extension. This extension can enhance the protection of the websites that support HTTPS. Web browsers offer this private or incognito mode and claim that your internet activities will remain private. However, the actual case is opposite to this. These modes are not able to prevent tracking of your online activities from your ISPs. That is also browser specific. For example, Google Incognito Mode will be valid for Chrome browser only. It will merely prevent the browser to save the history of your web surfing, but cannot hide it from ISPs. It is difficult for a smartphone user to believe on how even your smartphone itself tracks you. The little gadget in your hands is not only guiding you in so many ways but also serves as a means of monitoring your routine. The smartphones we are having now, possess dedicated sensors inside. These sensors monitor all the activities including how you are holding your phone. These records are then utilized by the applications to make the user experience better. One such example is the auto-rotation of the landscape and portrait modes offered by almost all the apps. Recently, OnePlus created much hype because of its controversial act of sharing the users’ personally identifiable information, like device IDs, back to the firm’s database. It claims to use the collected data internally, just to enhance the experience of device users. But, one can speculate how your smartphone unveils your private information to others. Now let’s discuss how the different smartphone types track users. Thus, you have unintentionally allowed Google to save your routine data, such as your phone calls’ duration, the location of your phone, the model of your phone, and much more. Fortunately, iPhone users are somewhat in a safe zone. Apple also collects all your data like Google. However, it keeps all this information anonymous. Only your iOS will know your location and not the Apple Company. You may be amazed to know how your smartphone tracks you via all the apps you install – that too, on your own will. Every app, before installation, asks for access to your gallery, contacts, and other such areas of personal interests. By accepting their policy, you are permitting the applications to track your phone and store your data. You can also find the privacy policies of applications right from the Settings app in both the Android and iOS. Even the web browsers of your smartphones are responsible for collecting your search history, your location, and other details. It’s not easy to check how much data is collected when your smartphone apps track you. 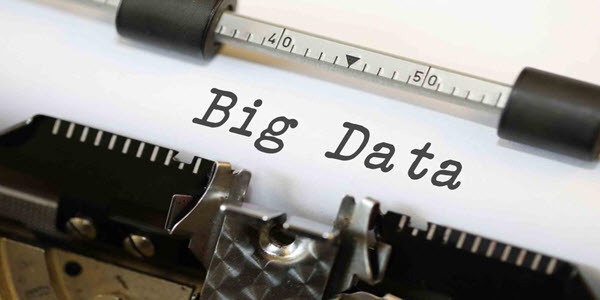 It is also extremely challenging to detect to what extent your information is transferred to the third party that may be a hacker, spy or an application. Hold on, please! There are some other ways too by which you can take control of your data back. There are specific settings in your mobile that can prevent applications to log as much data as they could in real. Consider the location tracking facility on devices as an example. Both the Android and iOS handsets offer to disable location tracking by just turning it off. Likewise, you can also control harvesting of data from the sensors of your handset that sense motion. Now come to the most potential data collector, Google. There are also numbers of ways by which you can alter Google App settings on any of your smartphone devices. Just open the main Google account page and then click on ‘Personal info & Privacy’. Here you can manage the ways by which Google collects your data. You can also erase some of the data like your voice searches. You can also edit permission settings of individual apps that love to keep your data, just like Google. Keeping your information private is now becoming a significant challenge. The dependency of customers on smartphones to store all the data has made to track a phone easier than before. Even if you think that you are not providing every detail to someone, still, it’s imperative for you to have some know-how regarding the kind of information your smartphone is getting every time. Smartphones offer thousands of applications and software aiming to help their users. Regardless of the entire affirmative impacts, one should also be conscious of the hidden tricks by which your phone spies you. Nevertheless, this smartphone tracking guide is here to help you protect your phones from tracking. You can check your phone regularly with the specific shortcodes and antivirus software that can detect possible monitoring of your phone. You can also have free and paid services like VPN and Tor that help to stop giving access to ISPs that are now legalized to leak your data. Besides all these measures, one should also be cautious about the applications that are already present or downloaded in the phone. We advise you to read the terms and conditions and privacy policies thoroughly, which every application provides you. Above all, you should remain well informed of the tricks by which you can limit the data access by these apps. We hope this smartphone tracking guide helps you to save your personal information from hackers, spies, and secret services.